The SCQ is a widely used screening measure for the assessment of autism spectrum disorder (ASD). However, its sensitivity and specificity when used with older children in the context of community Child & Adolescent Mental Health services is unclear. 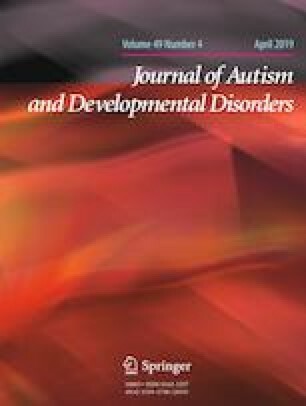 Seventy-seven (Mean age = 12.8 years) young people with suspected ASD were screened using parent- and teacher-reported SCQ’s before completing a comprehensive diagnostic assessment. Of the 77 young people included, 44 (57%) met criteria for an ASD diagnosis. Our results indicated that regardless of informant, SCQ scores did not significantly predict the outcome of the diagnostic assessment. Based on the published cut-off score for the SCQ, Receiver Operating Characteristic curve analyses revealed a lower than expected sensitivity and specificity. This suggests that the SCQ is not an effective screening tool when used in the context of community Child & Adolescent Mental Health services. The authors would like to thank all clinical staff within the Cambridgeshire & Peterborough NHS foundation trust, Child and Adolescent Mental Health Service who took the time to record the data used in this study. MJH conceived of the study, participated in its design and coordination, performed the statistical analysis and drafted the manuscript; RC participated in the design of the study and interpretation of the data; CW participated in the design of the study and interpretation of the data; JD participated in the coordination of the study and data collection; PB participated in the interpretation of the data and manuscript preparation; AH participated in the coordination of the study and interpretation of the data. All authors read and approved the final manuscript. All authors declared that they have no conflicts of interest.